Considered worthy of spiritual respect or devotion, inspiring awe or reverence amongst believers in a given set of spiritual ideas. Objects are often considered "holy" or "sacred” if used for spiritual purposes such as worship or in the service of Gods. 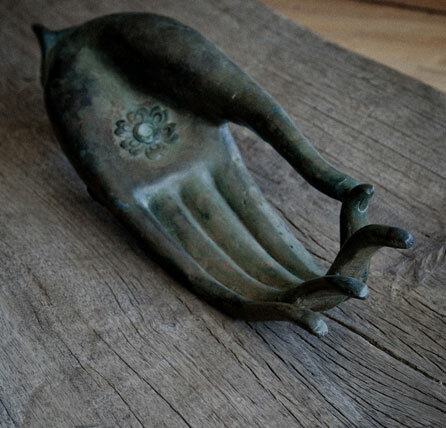 Bronze Buddha's Hand in the Varada Mudra Symbol of Compassion and Charity, Thailand.